Lorgill Bed & Breakfast | Stay with us and explore the Isle of Skye! 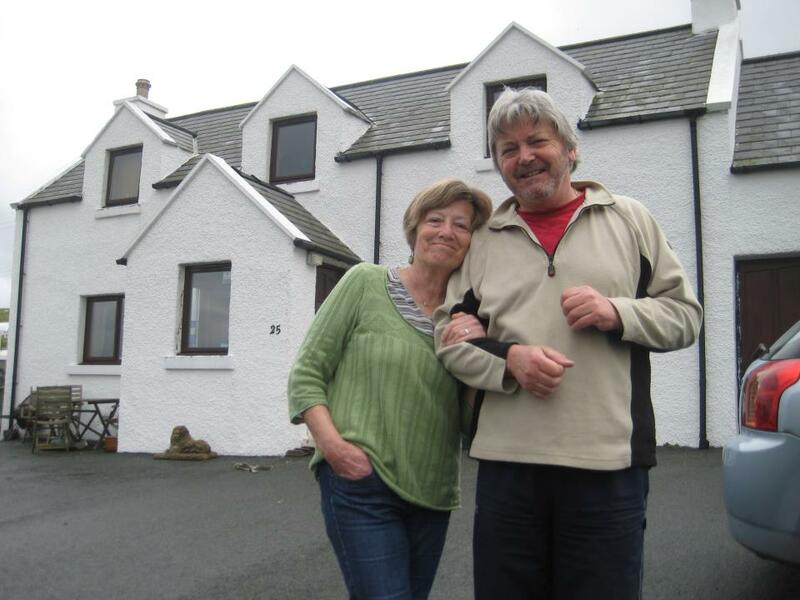 Madeline and Graham Jones look forward to you coming to visit the Isle of Skye. It is an incredible island appealing to anyone who likes close yet welcoming communities, spectacular and complex geology, easy access to all parts of the island, walks and climbs to suit every ability and a mystical atmosphere; all of which soothe the spirit. We have a cosy home that we enjoy sharing with visitors from nearby and across the world. We can offer you a central base from where you can go out and experience Skye. Making you welcomed, nurtured, stimulated and soothed is our aim. Space for sports gear of all sorts of activities. Call us or email us using the form below. What is 9 + 2? Stay with us and explore the Isle of Skye!